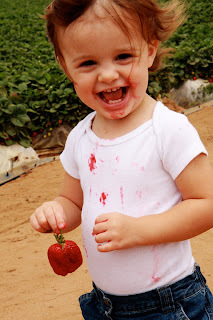 notice the clean shirt....and the HUGE strawberry! 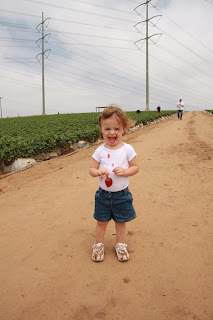 Kurt, Reese, and I decided to try out the "U-Pick" strawberry fields in Carlsbad. 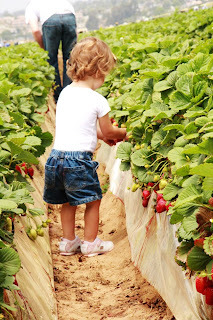 I have always seen the huge sign for the pick your own strawberries and always wanted to go. Well finally, today, we made it! It was quite an experience. 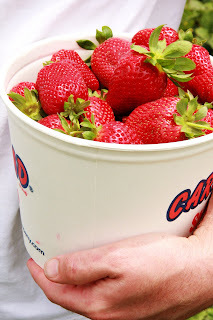 You either pay $12 for a large bucket or $6 for a little one and have at the fields! 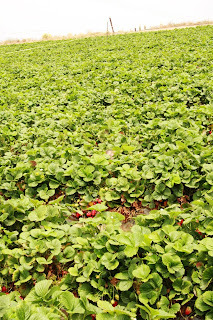 We couldn't believe how many strawberries were lined up ready to be picked; and they were HUGE! 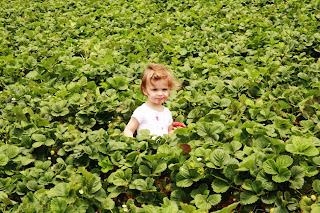 Of course, in the midst of picking there was some snacking - it was only natural. Oh my goodness they were SO good. 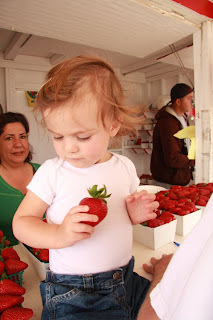 Seriously the best and sweetest strawberries I have ever had. 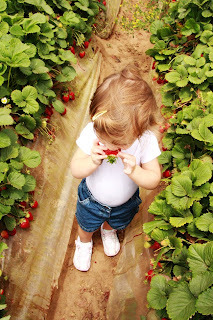 Look at those strawberries!! AMAZING! What awesome pictures you got! And yum! I want to go right now! Although bending down would not be fun. 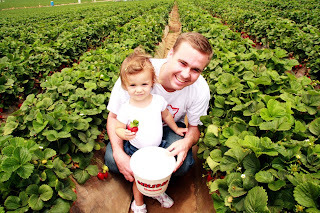 :) Did you do any picking or just photographed? That looks like so much fun! Those look like strawberries on steroids! 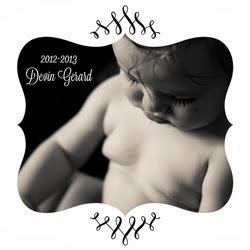 Cant wait to see pics of your baby!! So glad that things are lookin up! We've been praying for ya!! Reese is a doll!